In Central Colchester, nearly 1,000 businesses have access to ultrafast broadband capable of 1Gbps speeds. With the investment boost, the network is ready for a major extension into other parts of the borough. The expansion is expected to cover the whole of central Colchester, the Northern Gateway and also provide connections to Greenstead, Severalls Business Park and the Hythe. Where possible, the funding will further be used for rural areas. Colchester Amphora Trading handled the funding bid and will also The network build is expected to commence in April of this year, with pre-works already underway. Margot James MP, UK Minister for Digital (DCMS), said: “We’re building a Britain that’s fit for the future, and our plans for a national full fibre broadband network underpin our modern Industrial Strategy. The council anticipates that the expansion of the network will increase further investment for the borough and attract data-centric and creative businesses. 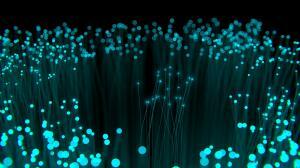 Presently, Virgin Media appears to be the only provider to be able to offer ultrafast broadband to premises in Colchester, with a little Fibre-to-the-Premises contribution available from Openreach (BT).